Susanne Vielmetter Los Angeles Projects is pleased to announce an exhibition of new work by gallery artist Yunhee Min, titled Wilde Paintings. Named for the first body of work made in her new studio located on Wilde Street in downtown Los Angeles, Min was reminded of the literary reference to Oscar Wilde who wrote in a letter that, “Art is useless because its aim is simply to create a mood.” Like the impact of “room sound” on audio recordings, room light and the feeling of a room can make dramatic impressions on an artist’s experience in the studio. The quality and abundance of diffused light from the sun in Min’s new studio has affected how she considers her work. There is an increased concern with the paintings’ presence and character, and with setting a mood. 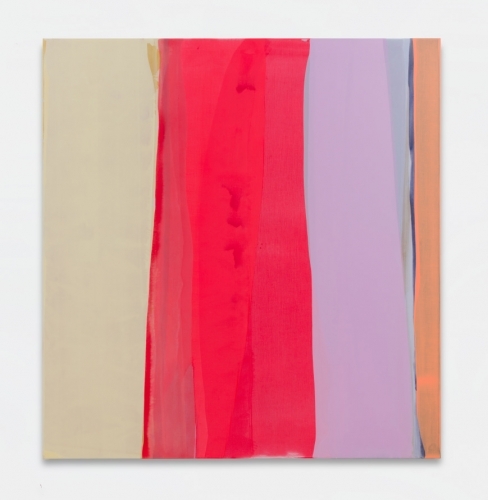 Min’s new paintings continue her commitment to exploring the material possibilities of paint, surface, and color. For the last several years, she has worked within a productive set of constraints, using squeegees to apply vibrant water-based paints to her canvases, laid flat on a table. In the new paintings, these constraints are loosened to include new tools: brushes and rollers, and new movements of paint on surface: short and long brush-strokes, swirls, twists, and turns. These pragmatic additions that expand the ways in which the artist can move paint on the surface of the painting produce a variety of new visual outcomes. Movement of paint takes center stage in this body of work. The emphasis on this activity recruits a suggestion of duration. In the paintings, time is experienced as both of this instant and as having already passed. Min achieves this oscillation through the accumulation of movements on the surface—filling space, leaving space open, overlapping, and splitting off. The fluidity of the paint itself results in gestures that often feel freshly made, suggesting that if you “blinked, you missed it,” or a constantly regenerating recent past and a continuous present. Min’s paintings turn on the interactions and relationships between different areas of color, their relative value and transparency, and the moods these colors engender. In some paintings the color composition feels bifurcated: a section of canvas painted in more muted colors, which suggest a past era or aesthetic, is paired with a section of much brighter pigments. Such breaks in color, the type of marks Min makes, and the layering of paint generate an entanglement of spatial relations. An illusion of deep space and an aggressively shallow surface can co-exist and even abut one another within the same painting. Min’s stated intent is that each painting should hold its own with its individual temperament, distinct nuances and singularity as a body. Not a human body but an independent body of its own. Yunhee Min holds a BFA from Art Center College of Design and a Masters in Design Studies from Harvard University. Recent site-specific installations and architectural interventions have been on view at “Equitable Vitrines” in the Equitable Life Building, Los Angeles, CA; satellite exhibition space for the Museum of Contemporary Art, Santa Barbara, CA; the Hammer Museum; the Los Angeles County Museum of Art; and at Night Gallery, Los Angeles. Min has had solo exhibitions at LAXART, Los Angeles, CA; The Museum of Contemporary Art, San Diego, CA, project space; at ArtPace, San Antonio, TX, project space; the Yerba Buena Center for the Arts, San Francisco, CA; and Exercise, Vancouver, BC. Her work is in the collections of the Los Angeles County Museum of Art, The Museum of Contemporary Art, San Diego, and the UCLA Hammer Museum, Los Angeles, CA. 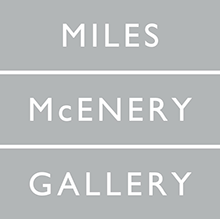 Min is also represented by Miles McEnery Gallery, New York. Yunhee Min was born in Seoul, Korea, she lives and works in Los Angeles.